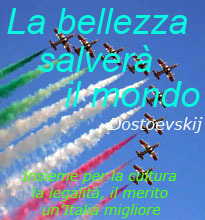 A community of 23 states, among which Italy can play an important role and propose values ​​and perspectives that have marked the development and the affirmation of fundamental civil rights. 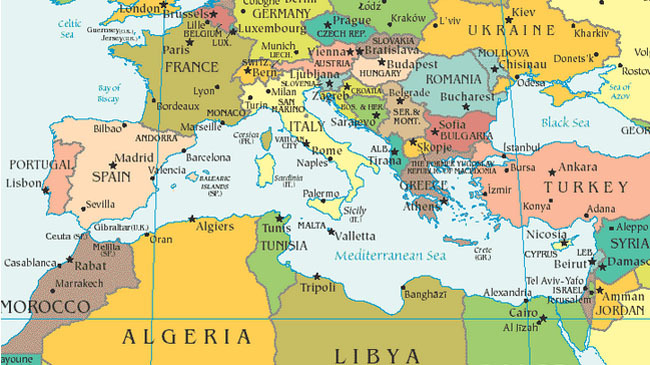 There are 23 countries in the Mediterranean area: Italy, France, Spain, Monaco, Gibraltar (United Kingdom), Morocco, Algeria, Tunisia, Libya, Egypt, Palestine, Israel, Lebanon, Syria, Turkey, Cyprus, Akrotiri and Dhekelia on island of Cyprus (United Kingdom), Malta, Greece, Albania, Montenegro, Bosnia-Herzegovina, Croatia, Slovenia. So many stories, so many contrasts in the past, so many divisions today. However, it will not be a short-sighted rivalry to guarantee a future of peace and prosperity. Only with collaborations, exchanges, common projects, commitment to the overcoming of fundamentalisms, the affirmation of civil rights, new social achievements can remove shadows from the future. 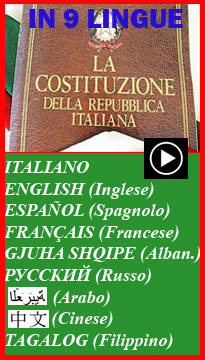 In this scenario, the Italian Constitution and the principles of the European Union are a guide, along with the many fragmentary proposals of North Africa and the Middle East. The assertion of the rule of law, democracy according to autonomous choices, the abolition of the death penalty, a true equality of citizens without distinction of gender religion race political opinions, the priority of social values, the fight against terrorism and a strong promotion of education and culture are among the fundamental choices to promote the development of the Mediterranean community.